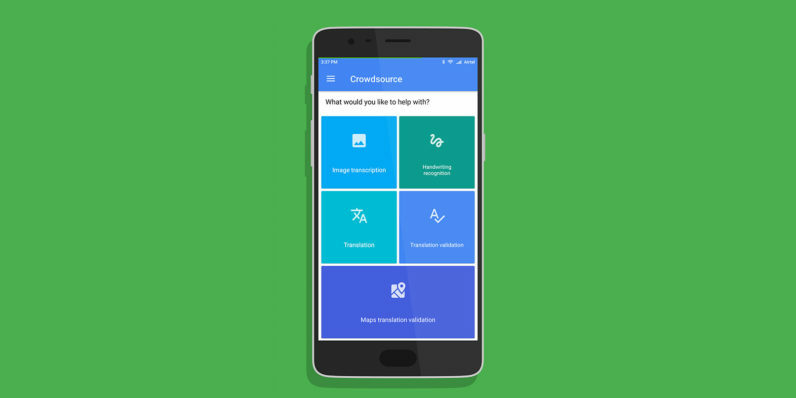 Google has launched Crowdsource, a new Android app designed to seek the help of users to improve the company’s services through microtasks. If you’ve got a few moments to spare, you can assist Google with image transcription, handwriting recognition and – if you’re fluent in more than one language – translation. Each task only takes a couple of seconds and ranges from assessing the accuracy of translations for text and Google Maps labels to typing out words captured in photographs (just like captchas). So what do you get for your hard work? Nothing – for now. Google tracks your contributions, but doesn’t offer anything in return like it does with its market survey app, Opinion Rewards. Of course, if Google wants people to stick with Crowdsource, it’ll have to do more than just hand out virtual trophies. The company says that the app isn’t actually finished yet and that it’s “thinking through incentives” now.